The mint, lemon, and vanilla in this recipe really makes the natural sugars in the berries the pop! I love to bring this to summer barbecues as a light and refreshing dessert or make a big bowl of it at the beginning of the week to add to breakfast or dinner. It’s almost all carbohydrates so enjoy it after a meal made up of protein and fat to keep your blood sugar stable. Not appropriate for Dysphagia Levels 1, 2, or 3. Raw fruits are difficult to form into a bolus and should be avoided on modified diets. Toss diced apples with lemon juice in a large bowl. 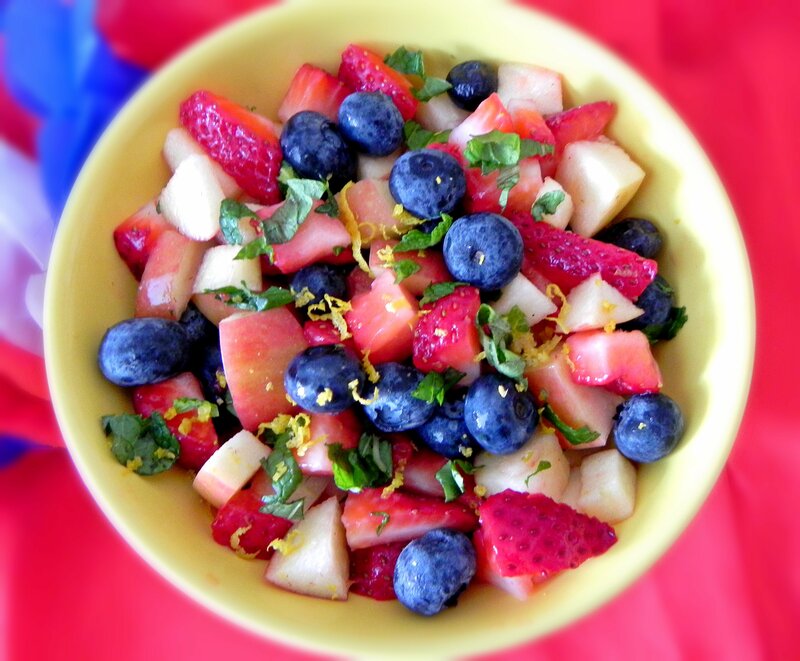 Add strawberries, blueberries, mint, and vanilla and toss until combined. Top with lemon zest. Serve cold.